Free application programming interface for the creation of wearable eye tracking solutions to work with Tobii Pro Glasses 2. Access to data streamed live from the glasses as well as stored data for post-recording analytics. This API is platform and language independent. The Tobii Pro Glasses 2 API (application programming interface) allow developers to take full advantage of the wearable eye tracker by creating amazing applications customized to different types of research. It comes with a developer's guide and code samples. This API is platform and language independent and supports only Pro Glasses 2. "Eye tracking with the wearable Tobii Pro Glasses 2 adds a new dimension to our prosthetics control and user-interface work. The new API with data streaming will enable users to direct our robotic prosthetic devices in real time through both tracked gaze location within the local environment and the navigation of interactive augmented reality-control menus." The Tobii Pro Glasses 2 API consists of an HTTP REST to control our wearable eye tracker in live setups. It also includes comprehensive documentation of the internal file formats in order to read the recorded data from the glasses for post-analysis applications. The HTTP REST API offers full access and control of Pro Glasses 2 in live scenarios. It enables you to calibrate, start and stop recording sessions, and get a live data stream of scene camera video with gaze data, over Real Time Streaming Protocol (RTSP). Live feedback and user-monitoring applications are just two examples of solutions that are possible using the HTTP REST API. Scene camera recordings are also available as separate files and can be imported directly from an SD card in the Recording Unit. For an easy importing, the Pro Glasses 2 API includes full documentation of the files and the file structure on the SD card. 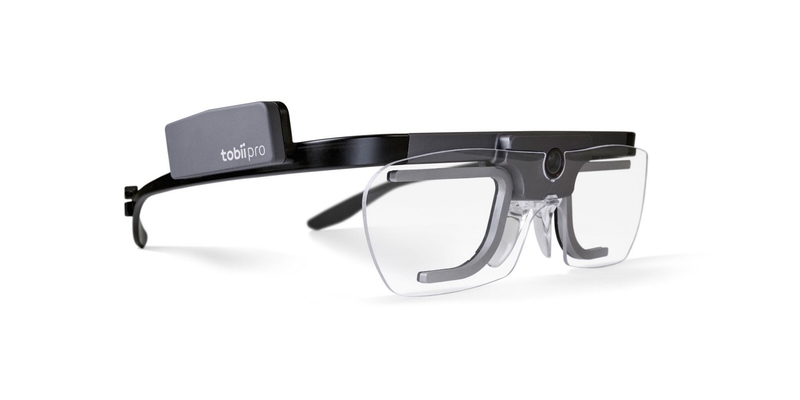 "We see exciting new applications for Tobii Pro Glasses 2 and its new API. They provide a new platform for quantifying visual orienting response behavior in real-world scenes." Here you can download Tobii Pro Glasses 2 API for free. It comes with code samples and a developer's guide. Clients to Pro Glasses 2 HTTP REST API can be written in any language on any platform, as long as the language and platform of choice supports HTTP (GET, POST, DELETE, etc.) requests. Most modern programming languages do. Pro Glasses 2 API only supports Pro Glasses 2.